Nestle has turned to packaging firm Uflex for a security seal designed to protect its Nescafe coffee brand from counterfeiting in India. 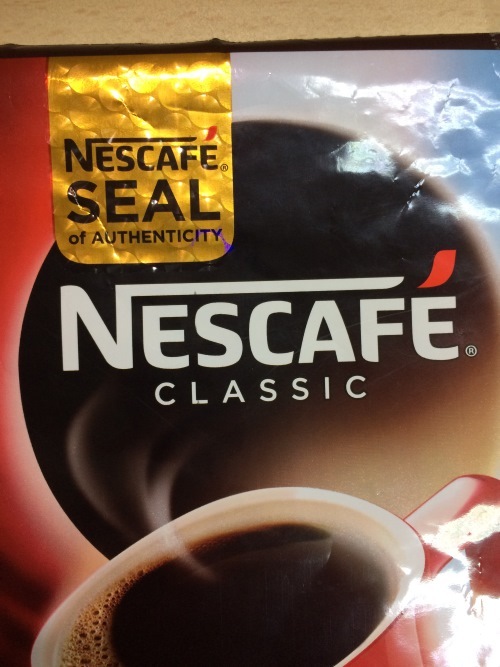 The Seal of Authenticity is described by Uflex as a tamper-proof brand protection/anti-counterfeiting solution that does not affect the retail price of the product - in this case Nescafe Classic brand. The seal (pictured) includes a 3D reflective lens image applied using transfer technology as well as other security features. Coffee has become an increasingly common target for food fraudsters, with low quality ground coffee beans adulterated with filler ingredients such as corn, barley, wheat, soybeans, rice, beans, acai seed, brown sugar or starch syrup. One of the main drivers has been a reduction in coffee bean output thanks to poor harvests in some key producers such as Brazil. There have also been examples of completely artificial counterfeit coffees, including an incident in Vietnam in 2015 involving a substitute that smelled and tasted like coffee but was found on analysis to contain toxic heavy metals.